Bringing a setback to Vodafone, the Delhi High Court refused to stay the TRAI’s penalty of Rs. 1050 crores on Vodafone for allegedly denying Points-of-Interconnect (PoIs) to Reliance Jio, reports Economic Times (ET). The Court has also issued notice to the Department of Telecom (DoT) to make it a party to the case. In the backdrop of the complaint filed by Reliance Jio against the incumbent operators, TRAI sent a recommendation to DoT proposing Rs. 50 crore penalty in each of the 21 circles. TRAI also issued a show-cause notice to Vodafone on 27 September asking the provider to submit an explanation of why it refused PoIs to Jio. It was asked to file the response within 10 days of issuing the query. 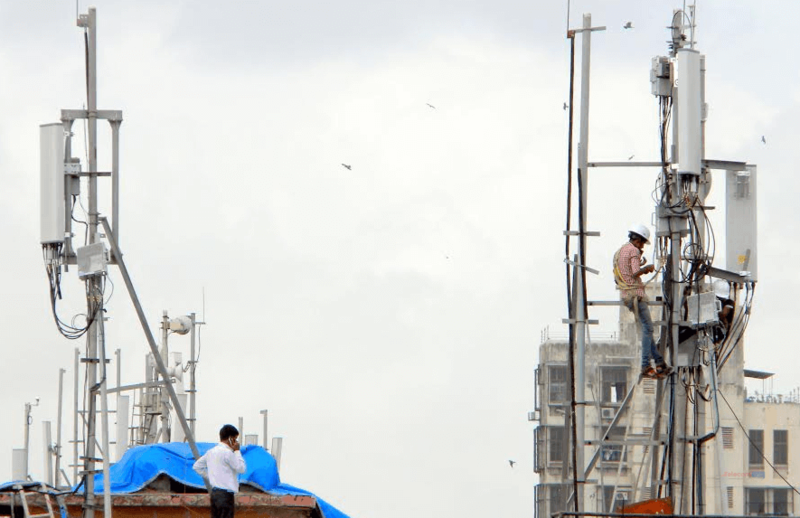 According to Vodafone, TRAI imposed the penalty prior to the completion of this 10-day deadline, denying it an opportunity for a proper hearing. Sighting the argument, Vodafone filed the case against the penalty on 16 December 2016. In the case, Vodafone argued that TRAI exceeded its jurisdiction limit. The service provider also said that the penalty amount is high that only a maximum of Rs. 50,000 can be imposed for any failure to meet the service conditions (according to the quality of service regulations). Overall, it called TRAI’s action as ‘arbitrary’ and ‘unconstitutional’. However, the lawyers representing TRAI said that the argument is not ‘maintainable’. “The company (TRAI) was treating the new entrant the same way as public sector telecom operators BSNL and MTNL had done to Bharti Airtel, Vodafone, and other new entrants several years ago,” report quoted the lawyers. TRAI imposed the fine on Vodafone, mainly on the grounds that the denial of adequate PoIs led to call failures. Also, it appeared to be as an act to stifle the competition in the market, which goes against the public interest. The next hearing is scheduled to be held on January 4, 2017. DoT is seeking legal opinion on TRAI’s recommendations. I am not for or against any service provider but Reliance Jio must equally be charged with unfair trade practices, seeing that they are being treated with kids gloves. I hope Vodafone challenges Reliance Jio to the end. Also it’ll be fun to see what their real charges are post freebie offer time limit. @Prithvi – dont worry, whether JIO wins this round or not, in the end it will PAY THE PRICE. Many not be monetarily but in terms of number of customers (FREELOADERS) it loses once it starts charging. The incumbents have been arund since 1995 and will not let someone steal the carper from under their feet. They are, already, providing FREE LOCAL AND STD alongwith CONSISTENT SPEEDS of 4G at very cheap and affordable tariffs. Duane Kirti and Love Airtel Jobs are in danger..
Duane what’s your view of RCom, Aircel and Tata? Are they not legitimate players? At least RCom has been around a while TBH. And RCom too faced the same problems of PoIs etc. when it launched GSM, causing people to not adopt it quickly…..
What is DTH and How it Differs from Standard Cable TV Service?